For spectacular nails the Crazy Chic console is a great set for real nail art fans and swap designs with your friends. 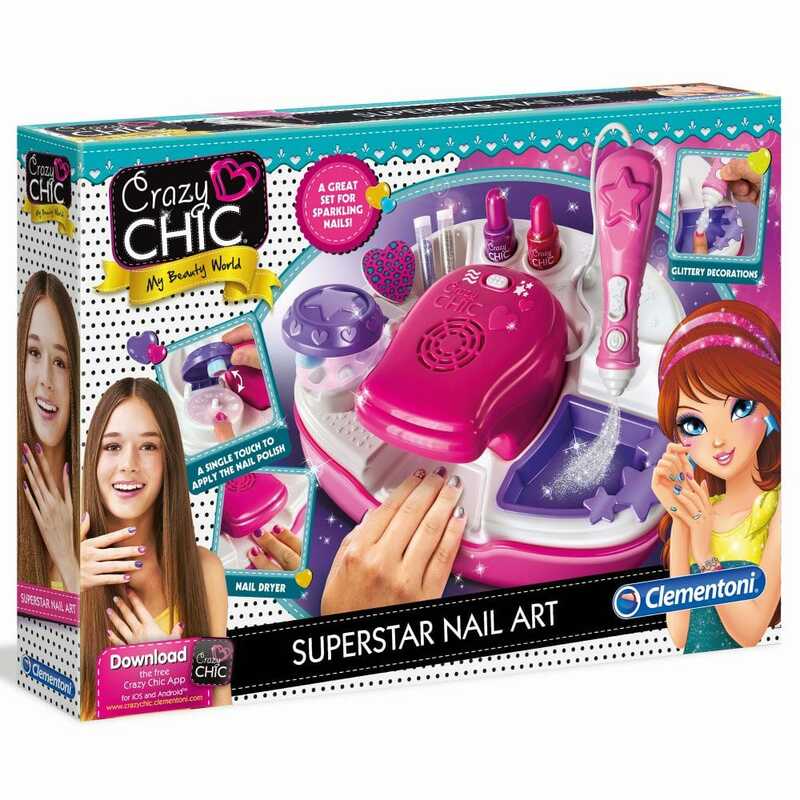 Crazy Chic nails are really trendy, fun and create your style using the nail polish dryer and all the necessary accessories to decorate your nails like a real star! A truly cool and super-glamorous look for all Crazy Chic girls! Swap designs with your friends and pretty sparkling nails for all occasions. Set contains: transportable consule (assembly required), nail dryer, nail polish (red and violet), glitter pen, nail file, colour glitter dust, stencils, funnel, discs and illustrated manual.